You will be picked up fro your hotel after the breakfast around 0800am, then be transferred to Wilson Airport and get your flight around 0930am, the flight takes about 45min-1hr to arrive in Masai Mara. 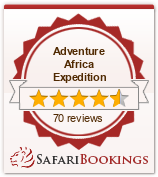 On arrival in Masai Mara you will met by our driver, go for the game drive until lunch time. Then proceed for lunch in the Lodge. After lunch proceed for another game drive until 1830hrs. Return to the Lodge for Dinner and overnight in Masai Mara Keekorok Lodge. migrants, well over 450 species of animals have been recorded here. After breakfast, we proceed proceed to the Crater Lake National park where you will have an opportunity to walk and interact with the game inside the park with our guide. You will have an opportunity to do boat ride and then back to the gate where our driver will be waiting for you. Proceed to Mai Mahiu for lunch and there after back to Nairobi with a drop off to the Airport to catch up with your flight or back to the hotel.